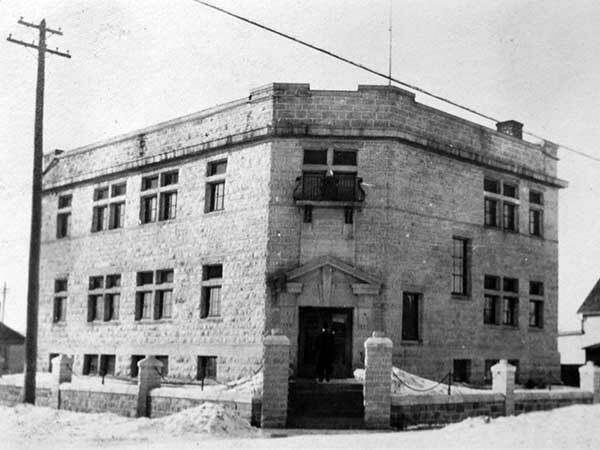 Later used as Stonewall’s town hall, this building was originally built (in 1912-1913) as a Land Titles Office. Provincial Architect Victor Horwood designed the building, which was constructed by the firms of Fraser and Gillies (stonework), McPherson (carpentry), and Olsen and Persson (painting). It is a municipally designated historic site. Source: Archives of Manitoba, George Harris Fonds, Acc. 1979-141, P7447, Album 4, Page 23. This page was prepared by Gordon Goldsborough and Tim Worth. 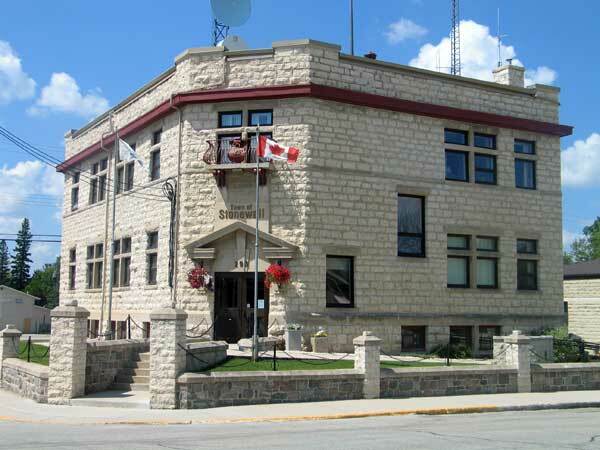 This is a collection of historic sites in Manitoba compiled by the Manitoba Historical Society. Please note that inclusion in this collection does not mean that a particular site has special status or protection. Some sites are on private property and permission must be secured from the owner prior to visiting. Site information is provided by the Manitoba Historical Society as a free public service only for non-commercial purposes. Send inquiries to the MHS Webmaster.